This program is very simple to use by just selecting your county and the corresponding dates of interest. This will output a table with the daily estimated amount of evapotranspiration and respective rainfall totals. These are then accumulated over your time period and a difference is generated to show whether your farm is showing a generalized moisture deficit or surplus. The best way to utilize the table would be to select the last day you had irrigated and run the program out to the most recent day. This in combination with forecast data can give a farmer an idea if irrigation is needed at the time. A program was also created to display the amount of evapotranspiration that occurred over the past day on a statewide level. A graphic of Kentucky with various stations across the state and there corresponding level of evapotranspiration are included. Just select the date below to get the most current day's evapotranspiration estimate. 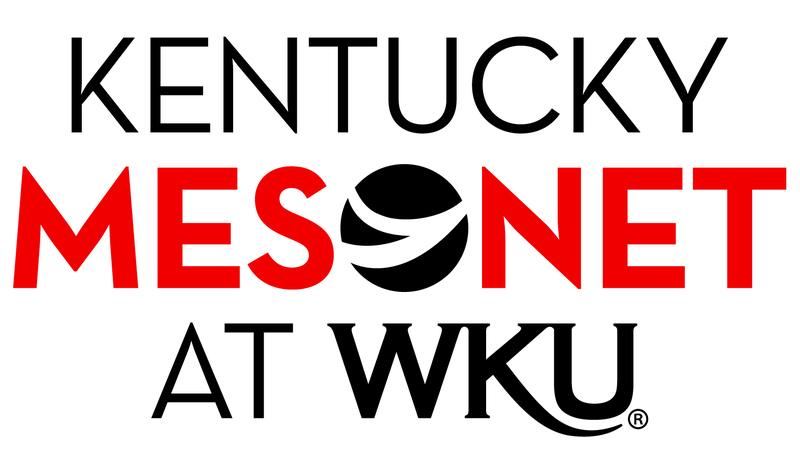 Weather data is provided by the Kentucky Mesonet at Western Kentucky University and the National Weather Service.